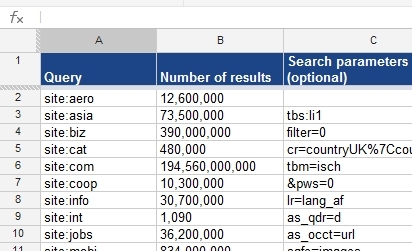 We've produced a number of Google Docs spreadsheets that we share with the SEO community, intended to save time and offer useful functions to collect data about search engine rankings. Our Google Docs spreadsheet to bulk check numbers of Google results has proven to be one of our most popular free tools. So, we're going to share more of our custom Google spreadsheets to allow you to perform additional functions.